The Maserati Quattroporte will be offered with a 4-wheel drive option for he first time. The improvements to the new Maserati Quattroporte, grouped with a growing potential market in emerging markets throughout Asia, will help drive sales of the new model from 10,000 cars a year – more than the whole of Maserati has previously sold – according to company CEO Harald Wester. The new Quattroporte sits on an all-new platform, is more spacious, larger and is powered by a new engine family developed with Ferrari. 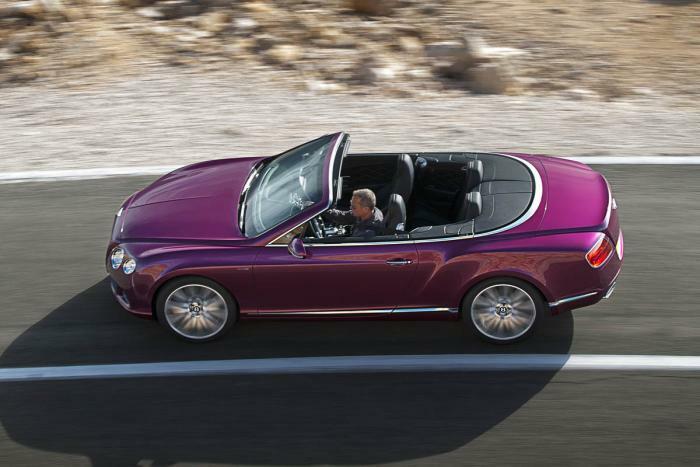 It is also sold with a four-wheel drive option for the first time, and with a diesel engine. 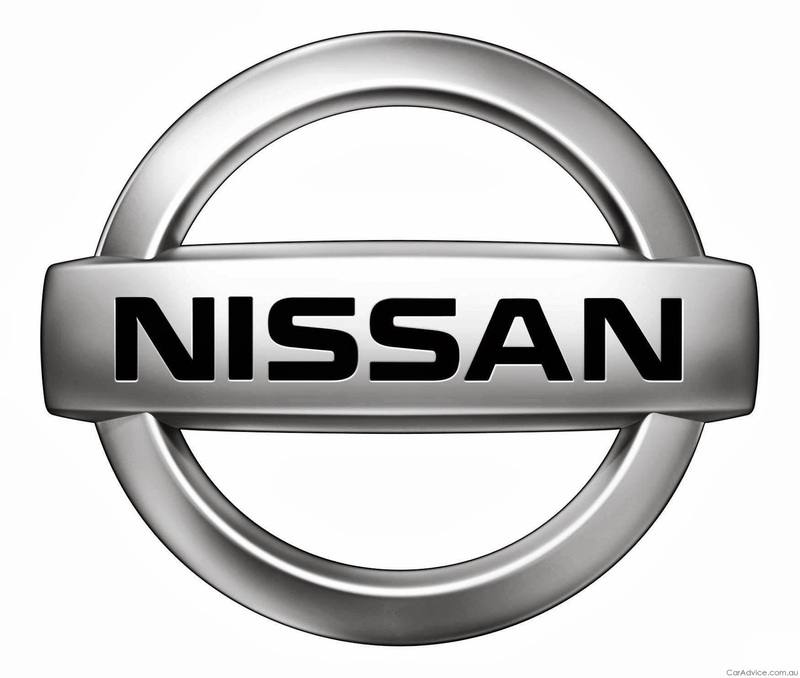 “We launched the previous car in 2003 and it is clear now that the car didn’t fully respect the requests of our customers,” said Wester. “Once we fixed those shortcomings, and especially the gearbox, sales peaked in 2006 at 6000 cars in a year. That was with a three-year old car. Maserati has targeted sales growth from around a peak of 9000 cars in 2008 to more than 50,000 cars by 2015. The Quattroporte is expected to be the marque’s third best-seller, after the Maserati Ghibli, a rival to the BMW 5-series, and Maserati Levante, the firm’s take on a luxury SUV. Around 20,000 annual sales are expected to be made in China by 2015. What are your thoughts on the Maserati marque? Are you planning a spring trip abroad this Easter? If so, don’t forget that organising your airport parking is just as important to book in advance as the rest of your trip. 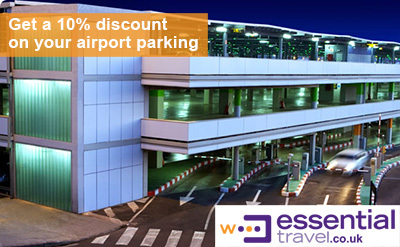 Essential Travel, the experts in airport parking give us some tips on why it’s vital you pre-book your parking. They’re also giving all TorqueAuto readers a 10% discount on airport parking booked up the 31st March,* with airports all over the UK you’re bound to benefit from this deal. 1. The earlier you book the cheaper – save yourself an average of 50% on the turn up rate by pre booking your airport parking early. 2. There is more choice – Every airport has numerous parking companies that offer different services which you can easily compare online. Choose from Park and Ride, On-Site Parking or Meet and Greet services. 3. Reserve your space – book your parking spot whether it’s for Easter, May Bank holiday, school holidays or your summer vacation. It’s essential to guarantee your space as car parks fill up quickly during the popular travel times. 4. Guarantee lowest price - if you find the same parking cheaper elsewhere then we’ll refund you the difference, that’s how confident we are that we sell the cheapest online prices. 5. Avoid hassle on the day of your flight – just arrive at the airport with full directions and instructions that can be saved to Passbook within your iPhone or Android device, easy as that! If you’re not going away this Easter then get some fun idea’s on what to do with your family, read ‘How To Keep Busy This Easter’ in Essential Travel’s monthly online magazine. *The rates you are quoted on the website through this link are already discounted 10%. Finding a pragmatic and reliable cross country vehicle that remains a joy to drive is easier said than done, but at Torque Auto we think that Volvo has hit the bull’s-eye with the new V40. Your rough terrain needs are accounted for in the V40’s rugged design. The vehicle’s conventional Scandinavian style is enhanced by durable body-panels and bigger wheels, and an increased drive height helps to protect the car from bumpy roads. The All Wheel Drive system enables the driver to remain in control when conditions get tough, and it perfectly compliments the car’s exterior functionality to maintain balance and stability, whatever the weather. Hill Descent Control prevents the Volvo V40 from slipping or increasing speed against the driver’s will when navigating steep declines, and it allows you to focus on the thrill of the ride rather than worrying about the drop. Volvo’s aim is to counterbalance a tough exterior with a comfortable interior, and the result is impressive. Ergonomically arranged seats ensure that there is plenty of legroom for all passengers, and an abundance of cargo space makes the Volvo V40 a great holiday car. The seats are finely shaped to support the body of the occupant, ensuring that the ride is smoother and more relaxed than ever before. The juxtaposed functional exterior and luxury interior is one of our favourite Volvo V40 features, as it creates a sought-after balance between off-road enjoyment and comfy style. A similar harmony is established between power and efficiency in the Volvo V40’s engines. No two drivers have the same style, and the new V40 includes a range of three petrol and two diesel engines to give excellent variation of choice. Leaky fuel consumption has long been the bane of cross country car manufacturers, but the V40’s engines can achieve of up to 80.7mpg combined, allowing for an affordable drive to the furthest depths of the wilderness. Speed and smoothness is assured by tailored five-speed or six-speed gearboxes, and manoeuvrability is fluid for a car of such functional design. The latest exclusive model from Audi, the A3 Sportback’s executive design features have been intended to break the mould. The sharp lines sweep over the car starting at the hexagonal single-frame grille and rectangular front fog lights, all the way back past the low profile C-pillars to the aerodynamic rear spoiler, resulting in a razor-sharp, dynamic look. This agile and athletic style represents the drive of the car perfectly, which is similarly agile and responsive. The practicality of the A3’s interior further adds to the car’s appeal; thanks to clever use of space, there is more than enough room for five people to be seated comfortably, as well as 380 litres of boot space to accommodate all of your luggage. The interior is not only functional but also relaxing; the use of luxurious materials on the seats ensures you and your passengers are always comfortable. A wide range of engines is available with the Sportback, each of which has excellent fuel economy and low CO2 emissions, but doesn't compromise on power. To accompany your choice of engine there is a range of gearboxes, each one tailored to efficiently convert the engine’s power into movement. Advanced Stop/Start technology on the A3 Sportback turns off the engine when not in use and instantaneously starts it back up when you move away. This drastically reduces the fuel you use as well as the CO2 you emit, limiting your driving costs and your impact on the environment. 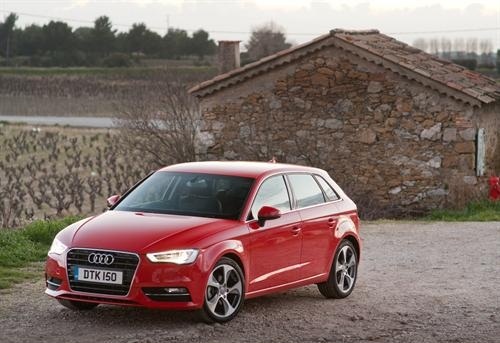 The new Drive Select system on the A3 allows you to drive the car how you want to. Different setting can be selected to match your driving style as well as the conditions, ensuring the best drive in all situations. The technology available on the A3 Sportback includes Bang & Olufsen speakers, advanced sat nav to get you anywhere you want to go in Europe, and mobile phone capabilities that not only work with your phone’s systems, but also enhance them through the car’s aerial. 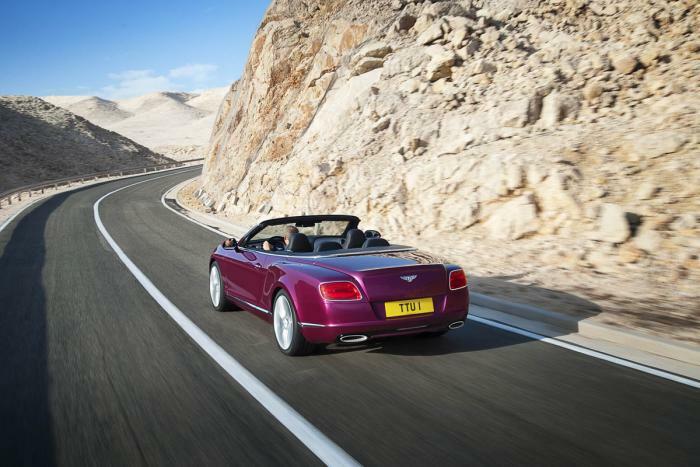 Each of these systems enhances your driving experience and is state-of-the-art. The same can be said of the safety features on the A3, each of which help to reassure and protect. Advanced driver assists (ABS, ESP etc. ), adaptive lights, and active lane assist are just a few of the features that ensure your drive is as safe as possible in any conditions. The Audi A3 is available at the beginning of 2013. To find out more or to arrange a test drive, please contact your Audi dealership, where our friendly staff will help you with all of your queries. 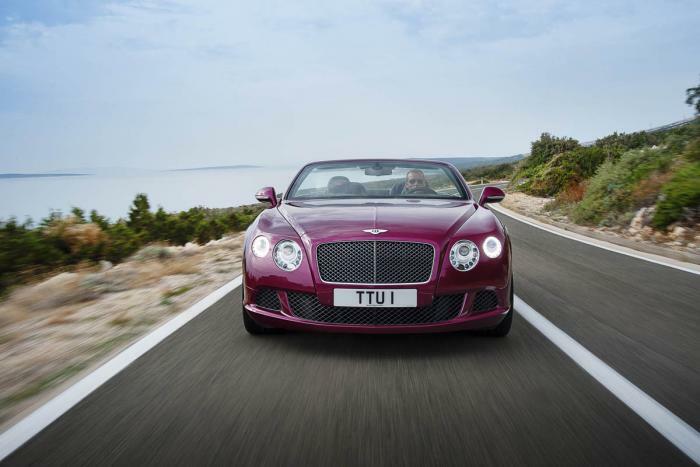 Pictures of the new Bentley Continental GT Speed Convertible have been released ahead of its unveiling at this month's Detroit Motor Show. 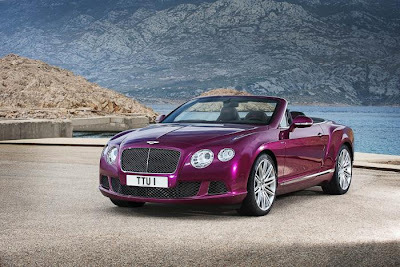 The new super-car boasts the title of world's fastest 4-door convertible with a top speed of 202mph! 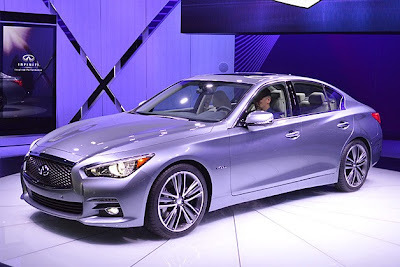 Check out the photos below of this amazing new car and leave your comments below.